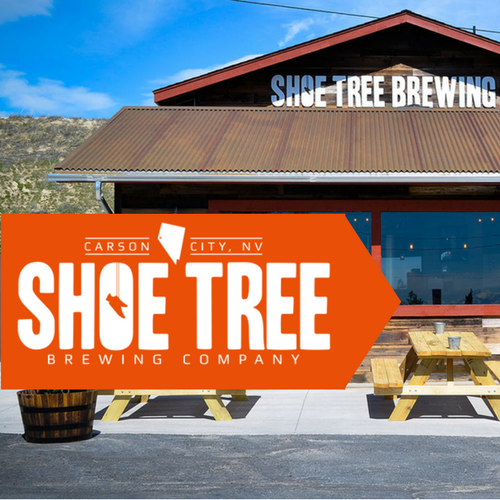 2,000 square feet + 7 barrel brew house + 1 tasting room = Shoe Tree Brewing Co.
A four fermenter farm is able to produce 600 barrels — that's 13,950 gallons — of finished beer annually. Now that's something to drink to. We love beer. But we also love a good place to drink it. Come in, catch up and hang out. It's more than a bar. It's a conversation starter. Creative variations, traditional recipes and seasonal mainstays are on the menu at Shoe Tree. We source local when possible, experiment when inspired and always have something new to pour. Our Coffee Stout is brewed with locally roasted beans. The Vanilla Cream Ale is served on nitro for a creamy finish. And our Blonde Ale is in the brew house getting ready for debut. Get the full lineup here. For the hungry drinker, our neighbor, Sassafras Eclectic Food Joint, will happily deliver. We are brothers who bonded over beer. A home brew hobby encouraged us to see if we could hold our own in the bigger craft beer culture. There are a lot breweries out there. We want to do it differently, we want to do it right and we want you to be a part of it.